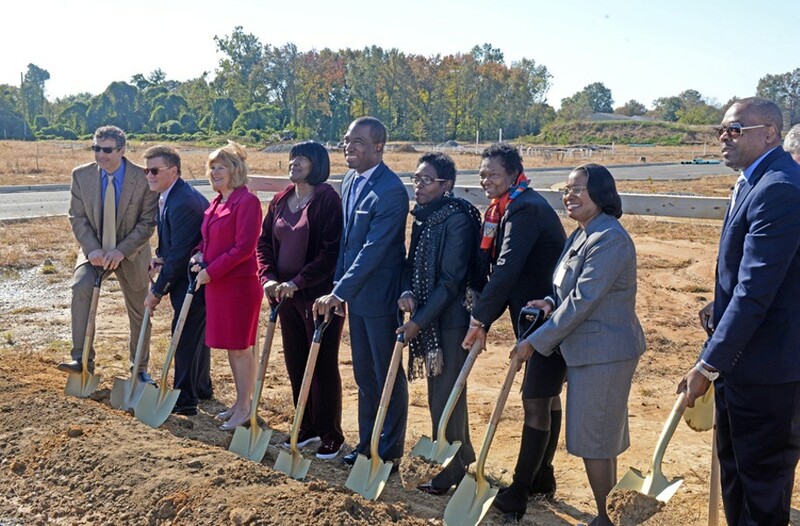 Shovels in the Ground | News and Features | Style Weekly - Richmond, VA local news, arts, and events. A groundbreaking ceremony was held for new mixed-income development, Church Hill North, but public housing residents remain skeptical. Scott Elmquist At a ceremony last week, public housing residents and nonprofit partners joined local and state officials to break ground at the old Armstrong High School site. Sharon Herman has lived in public housing for more than 20 years. She and her husband raised their two daughters in Creighton Court, and the couple still share a unit in the nearly 70-year-old housing community in the city's East End. They're empty nesters now, and despite recent issues with rats, corroded pipes and mold behind the washing machine, their apartment still serves as a home base for their kids, grandkids and great-grandkids, plus neighbors who are practically family. "I want my grandkids and my great-grandkids to see that just because you live in public housing, you do not have to be ghetto, a lower-class citizen," Herman says. "And that's a stereotype for all my years doing what I do in public housing. It's been my work, to not be seen in that aspect, because there's a lot of good in Creighton." Her face is a familiar one, judging by the number of people who stop by her table to say hello while she's enjoying a muffin and a mocha at the Front Porch Cafe. She considers herself a free spirit, and she's a relentless force behind efforts to engage and uplift the Creighton community. 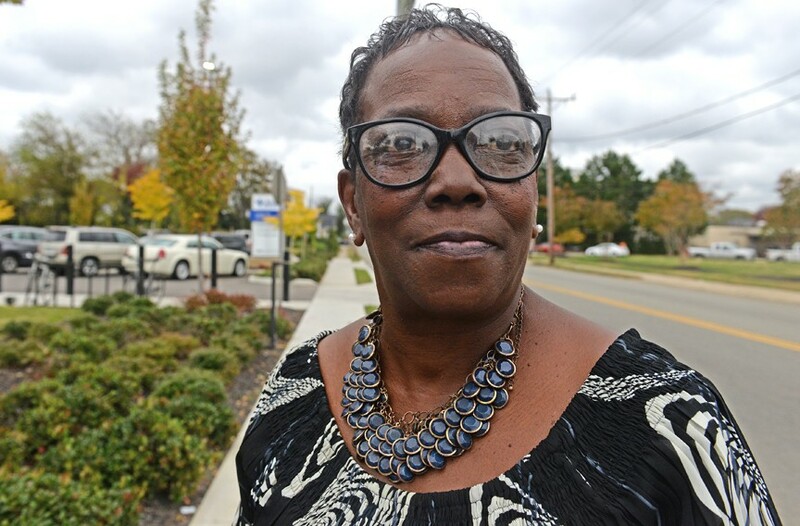 She's a member of the tenant council, serving as a liaison between residents and the Richmond Redevelopment and Housing Authority for years, and she jokes that while she never before envisioned herself in an elected position, now she can't get out. Nor does she want to. "I'm one of the chosen few that is called to action," she says. "I don't sit back and wait for it to happen. If it needs to be done, somebody's gotta do it, and nine times out of 10, it's me." Herman had mixed feelings last Tuesday as she sat underneath a tent on the site of her alma mater for a groundbreaking ceremony. In partnership with a private Boston-based developer called the Community Builders, the housing authority has been promising a new mixed-income community, Church Hill North, at the site of the old Armstrong High School for years. The first phase of the development, with a price tag of $26 million, will have 105 units — of those, 60 will be available for seniors and families currently living in Creighton. Funding snafus and leadership turnover at the authority delayed construction, and Herman says residents, who feel jerked around by it, lost confidence in the project long ago. Speakers at last week's ceremony expressed a renewed sense of hope, and while Herman shared some of that hope, it came with a dose of skepticism. She's heard it all before, she says, and she knows her neighbors have too. "I felt good in one aspect," she says after the ceremony. "What they said they were going to do, I hope they will do and we'll see a better way of life." Longtime Creighton resident Evelyn Givens shares Herman's skepticism. "I have begun to lose hope," she says. "I'll see hope again, not when they put that shovel in the ground, but when I see the first brick go down. Then my eyes will open." A fear among residents is that when and if new housing does become available, some will get left behind. Only those in good standing with the housing authority, which entails being up-to-date on rent and compliant with all lease requirements, qualify to transition out of Creighton. According to Elaine Summerfield of Richmond Opportunities, that's why family transition coaches begin working with residents "well before shovels hit the ground" on new housing developments available to them. Summerfield says coaches have already assisted three families in their moves from Creighton to the Apartments at Kingsridge, a development in Henrico County with 18 project-based vouchers. Choice is at the center of the work of Summerfield's group, and coaches work with residents to help them understand all their options. One person who worked with a transition coach, she says, recently bought a home through Habitat for Humanity. But its transition team is small, and the caseload continues to grow. Sharon Herman, a longtime Creighton Court resident, is cautiously optimistic about the Church Hill North development. "Some people are very optimistic and excited about the possibilities," Summerfield says of Creighton residents. "Others have been disillusioned and do not have confidence that the RRHA and its partners can pull off what is envisioned." Mayor Levar Stoney, who spoke with emphatic optimism at last week's event, says he believes in a guaranteed one-for-one replacement, and he urged residents to trust the process and keep the faith. Juan Powell, a Washington-based development director with the Community Builders, addresses some of those concerns after last week's groundbreaking. "We understand the level of frustration, distrust and skepticism felt by residents in communities that often feel neglected," Powell says in an email. "Most of those emotions are based upon decades of seeing development take place in other parts of their cities, but not their own. And when development does take place, it is often at the expense of the initial residents." Powell says work on the first round of phase one, which will include 45 units, began in mid-October and is expected to take about a year. The rest of phase one, with 60 units, will be complete by December 2019.